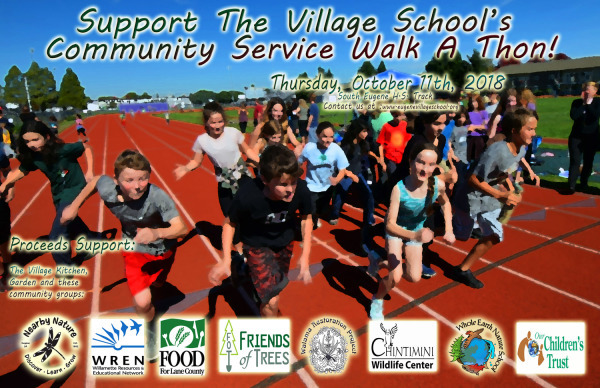 Support our Community Service Walk-a-Thon! Pledge kits are available in the office, but you also can use our online system, Give.classy.org/village which allows you to create your own fundraising webpage, and post or email links to it via social media. We encourage parents to help students with their outreach efforts.